I have a flavor suggestion…basil! Frank had a small scoop of basil ice cream on his restaurant salad last night and it was surprisingly really good! Oooh – great idea. It is definitely on our list to experiment with this summer. Hi guys! I’m just trying to find where your located, what your hours are or how I can get some of this yummyness. Do you sell cones or pints? Any info would help. Have you tried avocado ice cream? So delish. I used to spin that when I was a pastry chef at a Latin/Japanese fusion restaurant in NYC. Huge hit! Rebecca, We haven’t tried an avocado ice cream, YET. It’s a fantastic idea. We’ve talked about it, so it’s great to know that you have had success with it in the past. Thanks for checking out our page, and keep coming back to find out what’s new with us. Cheers! I realize this is pretty far from gourmet, but in our ghetto shop of a kitchen my gal and I whip up Mexican faux-fried ice cream. “GOOD” vanilla, cinnamon, sugar, honey, rice krispies or fortune cookies…It’s pretty rad – no doubt you could do something creative & fantastic w that and I’m 101% positive world peace begins w/ fried ice cream. I have made some ice cream and frozen yogurt with honey and goat cheese. Would love your spin on this. Maybe with some carmelized beets ? Like the salads every restaurant is serving now (minus the lettuce, of course). My name is Andrew and I recently started a venture manufacturing authentic French crepe mix that I sell at the Minneapolis Farmer’s Market Annex. I work out of a commercial kitchen in Frogtown off Dale Street. Now I am in the flour mixing room but I am almost positive that the gluten free mixing room has an industrial size ice cream maker in it (no promises though). The kitchen is called Bonus Vivus Kitchen on 955 Mackubin Street (http://thurobread.com/contact-us) link for contact info. I thought I would throw the contact info your way after recently reading your inspiring story. Saw the paragraph about you guys in the Metro magazine. Was wondering where you are located? Here a thought Key Lime pie ?? tart creamy and a bit sweet with graham cracker crust in it ..
Collette, Thanks for your suggestion! We have a graham cracker ice cream that we both are very fond of, and your idea of creating an ice cream base that tastes like key lime pie to accompany it is fantastic. Cheers! You mentioned that the eggs you use are organic, but you didn’t mention whether the milk is. It’s very important to me that all dairy be organically-raised, so I was just wondering. Hi Linda, thanks for your comment! We don’t use organic cream but we take great care in selecting the dairies we work with to ensure they are local, independent and have happy, healthy cows. The organic certification is expensive and prohibitive for smaller dairies, but that doesn’t mean their cows are less happy or healthy and many times they are more so. We never work with dairies that use antibiotics or any unnatural means of raising their herd and harvesting milk. How do I enter the drawing? 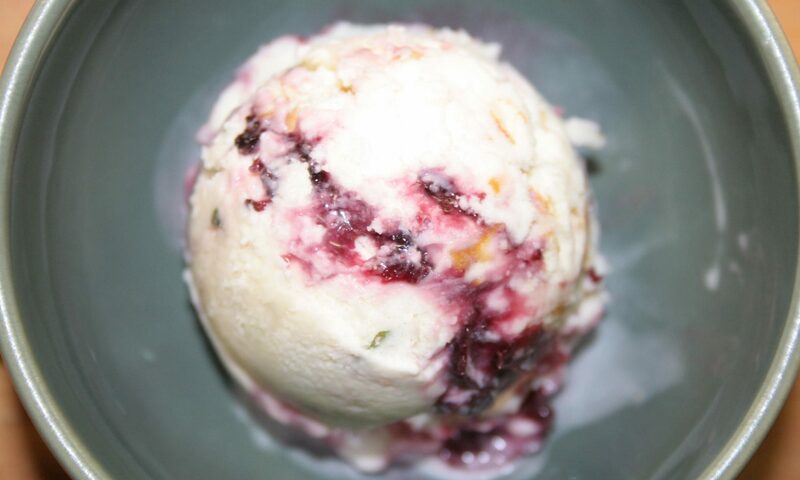 You ice cream sounds amazing & I’ve seen so many great comments I’ve got to try it! Will, We release a new flavor every Thursday on our blog and Facebook page. To enter the weekly contest, comment on the weekly flavor, either on our Facebook page or on our blog. You will then be included in our random drawing Friday at 4pm. Good Luck! Jen and Gray have made me jealous for years telling us about your IC. Can’t wait to try FrozBroz…someday. How/where do I donate? Hi Trish! Why don’t you drop me an email at erik@frozbroz.com. Our current online fundraising campaign ended last year, but if you would like to donate, we can definitely work something out. Cheers! Hey! do you guys mail and/or deliver the ice cream in the Minneapolis area? Thanks! We do not do delivery currently. It will likely be something we offer in the future. We’re in the process of transitioning to our first production space within the next month, and will start by offering pints for purchase from our kitchen. We’ll post updates here and on our facebook page so people know what’s going on and when they can start getting ice cream. Thanks for following us! P.S. Where are you guys?! We currently aren’t located anywhere. We will be moving into CityFoodStudio kitchen in the next month or so, and will then be selling pints out of the kitchen on a limited basis. Keep followinf us for details. Is the only way to try your ice cream at the random pint sales? For the time being, unfortunately the simple answer is yes. We are a small business just starting out and because we choose to control the entire ice cream making process, we are currently relegated to selling out of our kitchen while we work to earn enough money to buy the necessary equipment to become licensed as a dairy – which will in turn enable us to sell on retail shelves. The pint sales will be every 2-3 weeks for now which is what it takes for us to build our inventory back up. Drop us a line at icecream@frozbroz.com in between sales and perhaps we can help you out in the meantime. Dear Sirs: I own a printing company in Plymouth and read the article about you in Minnesota Business Magazine. What peeked my interest is that ice cream is my favorite food – ask my family and friends – so I naturally wanted to read the article. I am always looking for ice cream that isn’t high in corn syrup and made with all natural ingredients. (Boring chocolate chip is my favorite or pure vanilla with hot fudge and raspberries). First of all, congratulations on your new venture! Second, If we could help you at all with your printing needs (letterhead, business cards, envelopes, brochures, direct mail, coupons, labels, posters, table tents and so forth, we would love to bid on your projects. Personally, I would love to print for kindred spirits and help you to get the word out. Please contact me anytime at 952-697-3400. I tried some of your ice cream the smoked vanilla and I was wondering why the texture was a little grainy? Usually high quality icecreams (which yours is) that I have had have a very smooth texture. That was not I was wondering if I had a batch that was just off. Hi Brian – sometimes that happens when the ice cream thaws a bit and refreezes (which it may have if you bought on Saturday and took home in the hot/humid weather) and definitely should not have been that way. We would be happy to get you a fresh pint on us, to make that right. Please send me an email at benny@frozbroz.com and we can make sure that we get you a new pint of ice cream. You need a delivery service. I love making ice cream and I’m looking to do it as a career I’m wondering if you guys are hiring at all? Hi – sorry, we are not hiring. Good luck though! Do you still have Saturday afternoon sales at the Chicago ave location? What happened to you guys?! ?